We are one of the leading stockists, Suppliers and Exporters of Aluminum Products. 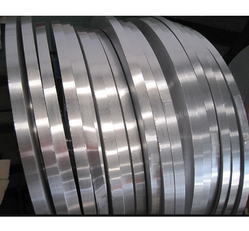 For reasons of maintaining the standard of quality of this offered range of Bare Aluminum Strips, we engage in the utilization of high grade raw materials and modern machines, as per the set industry norms and guidelines. Owing to this, the offered range has a superior performance and a longer service life. Used in Diesel generator spare parts. Banking on the skills of our qualified team of professionals, we are instrumental in providing superb quality range of Bare Aluminium Strip. This Bare Aluminium Strip is available in different shapes and thickness as per the client’s demands. Furthermore, it is widely used in different electrical industries. 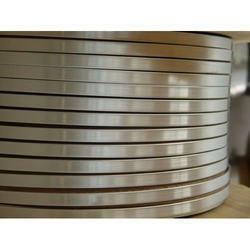 Avail from us Aluminum Bare Strips that is fabricated using wide range of aluminum alloys. Due to optimum performance, our range of strips finds application in manufacturing of eyelets, rivets, nails and screws. As a well-known manufacturer, we offer the finest quality of Bare Aluminium Strip. We manufacture hard and soft annealed Bare Aluminium Strips from EC Grade Aluminium Wire Rods in widths upwards of 5.00 mm and thickness upwards of 2.00 mm. Available in bunches of various weights as per customer's requirement. Zero negative tolerance and positive tolerance less than 0.02 mm.